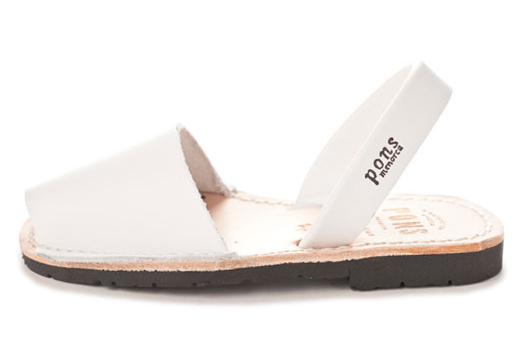 The Kids Classic Pons in White are a bright, casual, and comfy sandal that will be sure to keep your child in style. With their bright neutral color, they pair perfectly with jeans, sundress, or shorts and a cute tee. Handcrafted on the Spanish island of Menorca, our kids avarcas are produced with all natural leather, have a surdy slingback heel strap, and a durable rubber sole for lasting wear.